Solar panel costs drop 60 percent in 18 months | West Coast Solar, Inc. The cost of going solar continues to plummet. 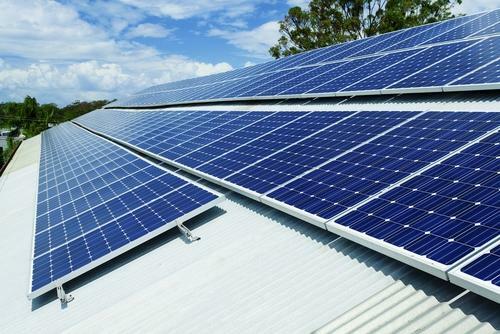 A new report from the Solar Energy Industry Association (SEIA), a solar advocacy group, and GreenTech Media, a clean technology news site, states that photovoltaic (PV) panel costs have dropped 60 percent since the first quarter of 2011. PV Magazine reports that solar panel prices fell to $3.04 per watt, down from $5.08 in Q1 of 2011. This also represented a 9.4 percent decline from the last quarter, when the national average price was $3.36. Between Q2 of 2012 and Q2 of 2013, the installed price of residential solar energy solutions fell 11.5 percent. Falling prices for solar panels are the principal reason for the exponential growth of the industry. The same report states that the U.S. added 832 megawatts (MW) of solar generating capacity in the second quarter, much of which is located in California. This growth can be directly attributed to the fact that solar is more affordable than ever, and that local and state governments continue to encourage residents to make the switch to a solar PV system. All of this data points to the fact that solar is quickly becoming the most viable energy option for California families and businesses. The combination of low prices, flexible financing options that require no down payment, and generous government incentive programs makes going solar a no-brainer. West Coast Solar aims to help as many resident realize the savings and financial benefits of solar energy. For more information on how your home or business can take advantage of this technology, contact us today to schedule a consultation.